Back when I was expecting my first baby, I was obsessed with research and trying to find out as much as I could about pregnancy and childbirth. It seemed that magazines and websites had some information to offer, but not enough to satisfy my inquiring mind. Then, a dear friend purchased the "What to Expect When You're Expecting" book for me and voila! I had found my one and only favorite resource. This book is what I like to call the "Pregnancy Bible" simply because it contains anything and everything you could possibly want to know about pregnancy, childbirth and postpartum. When I was pregnant with my second child I once again dove into this book and re-read sections that I needed refreshing on...it was soo good and reassuring to find what I needed in it. Now that I am nearing the end of my third pregnancy I have kept this book handy for reference and hubby thinks it is so funny that I have read it so much. But, you do forget things and need to be reminded and boy am I glad to have such a powerful and helpful book on hand. The "What To Expect" books have been written and designed to help you successfully and happily navigate your way through pregnancy, birth, infancy and toddler hood. I know that it can be very intimidating to be a parent and honestly, you just need help sometimes. That is where these books will come in handy. Written by Heidi Murkoff, the What To Expect books are chock full of advice, questions/answers, tips and hints on everything parenting-related. Here is a bit more of Heidi's story and how it all began! It all started with a baby…and a book. Heidi Murkoff conceived the idea for What to Expect When You're Expecting during her first pregnancy, when she couldn’t find answers to her questions or reassurance for her worries in the books she’d turned to for much-needed advice. Determined to write a guide that would help other expectant parents sleep better at night, Heidi delivered the proposal for What to Expect When You’re Expecting just hours before delivering her daughter, Emma. Heidi and her husband, Erik, have two children and live in Southern California. My love for these books has been well-grounded for almost 4 years now as my journey as a mom has continued...and I love to share my passion about "What To Expect" with every mom I know!! So, for this Baby Shower Gift Guide Event I have the privilege of reviewing and sharing three amazing books with you all from "What To Expect"! Obviously, I will start with "What To Expect When You're Expecting" because this book begins the series from the very beginning. 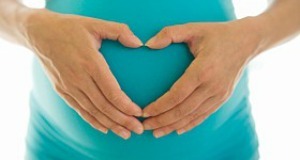 This is a pregnancy guide that takes you from conception all the way through birth and postpartum. Each chapter breaks down your pregnancy by month and you can very easily find out what each month will bring, both for you and for baby. What I love about this book is the way you can see drawings of what you and your baby look like at a particular point in time. Right now, I am 35 weeks pregnant and the above picture gives you an idea of what my baby looks like. I also like that each month contains a section detailing when you should call your doctor regarding pregnancy concerns and complications you may be having. Obviously, this book is not meant to treat you or act as your doctor, it just gives you guidelines as to what you should do when problems arise. This really helped me alot! Along with these sections, you will also find information about diet, exercise, common pregnancy "symptoms" and what to expect on your delivery day! The next book that you will find very helpful as a mom of a newborn is the "What To Expect The First Year". Obviously, as a first-time parent I was very "green" about what to do and without this book I probably would have floundered more than I did. This book will deal with topics such as breastfeeding, first aid, starting solids and crying (you and the baby!). One of my favorite sections of this book is the Baby's First Recipes. I was really wondering what I could give my daughter that would be good for her and contain the nutrients that she would need. She didn't start solids until about 6 months but after that point, she LOVED food and ate whatever I gave her. This section of the book has recipes that will satisfy little palates and keep them healthy at the same time. Last but not least is the brand new "What To Expect the Second Year" book!! YAY! Toddlers are so much different then babies and they present a whole new line of issues, challenges and questions. My oldest is now 3 1/2 and I can truly say that she was a fun learning experience for me. One thing that you will always see your pediatrician doing when you go for well-child visits is mapping out your toddlers growth and progress on a growth chart. I have always been fascinated with these and LOVE that this book explains them and what they mean. It is so great that this book has included a section about them! This book also details common issues that toddlers may experience. Right now, I am at the point with my 21 month old where he is not talking much. He says a few words, but has a sister who does most of his talking for him. This is sooo frustrating for me because my daughter was a chatterbox early on and because children are so different, I am struggling with comparing them. You can probably imagine my excitement when I saw that "What To Expect The Second Year" contains a chapter on TALKING! It basically outlines why children don't always talk as soon as their siblings and how you can help get them chattering...or even using sign language! What a fabulous chapter this was for me to read! Each of these "What To Expect" books and many more books from the series are available for purchase directly from What To Expect's website. Retail values vary by book but they very affordable and make a perfect gift for a first time mom. So, in my opinion... the "What To Expect" books are AMAZING. I cannot say enough about them. Really, I could have expounded much more on each of these books as there is just sooo much information in them! I would definitely recommend this series to any first-time mom, or to any mom who is going through these different stages in motherhood. Fabulous books...priceless resource! Disclaimer: I received no monetary compensation for this post. I did receive 3 free "What To Expect" books for review purposes. All quotes and stock photos are from the What To Expect website and email. Prize is being provided and shipped by the sponsor. All thoughts and opinions are 100% mine. Every child I see usually has Cheerios with them but I learned that cheese is a good finger food for starting eaters also. 2/3 of children at some point have an imaginary friend. Babies or children who have severe reflux that causes breathing problems or keeps them from growing. interesting that your diet can help with morning sickness and that ginger helps too! Avoid caffeine (in all its forms) after noon. I learned that fish is a good finger food! Dads gain weight right along with momma! You can track your babys growth on their website! I love that these books cover a child month to month and point out which milestones should be reached. I like that they have a whole online community for mothers! I learned that if you’re looking to minimize any potential danger, follow the experts’ recommendations: keep your cell phone powered off when not in use, don’t carry your phone on your waist, and try to keep your mobile away from your baby bump in general (use an iPod near your belly to pipe in those Mozart sonatas instead of your cell). kristiedonelson(at)gmail(dot)com Thank you. I love that there are the 3 books to grow with your child!! great info!! I loved the Track Your Baby's Growth slider thing that shows you all about your child's development and growth out of the womb. I had learned that 2/3 of children at some point have an imaginary friend. At their site, I learned that they have a handy A to Z Health Guide. Very useful! Whether you opt for an unmedicated childbirth experience or choose to get some medical help for an easier labor and delivery, as a pregnant woman in the 21st century, you can take some of the labor out of childbirth. I love that they said "There's no such thing as too many pillows." I sleep with 5 of them. Yes, I said 5 pillows, 3 of them are king sized!